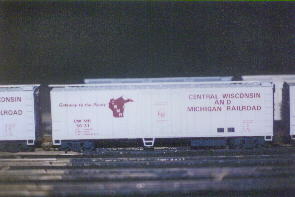 Central Wisconsin Model Railroaders, Ltd. 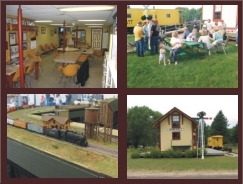 Located in the Stevens Point - Plover area of Central Wisconsin, our club works to promote the hobby of model railroading, preserve railroad history and provide a place for people with similar interests to meet. 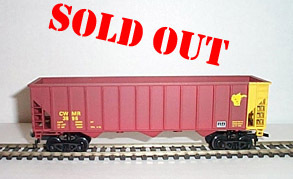 Look at our annual Arctic Run Model Train Show & Sale. 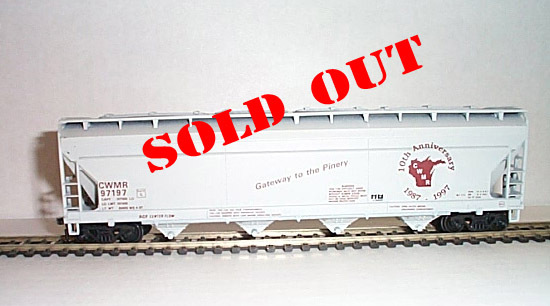 After a number of informal round-robin gatherings of interested modelers in early 1987, the group formed the Central Wisconsin Model Railroaders, elected officers and adopted by-laws in April, 1987. 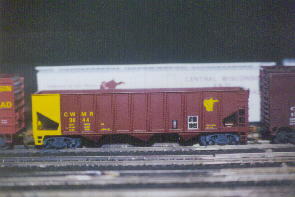 Shortly after this a club railroad name was chosen, Central Wisconsin & Michigan Railroad with gold and maroon being its colors. Here are some photos of a few of our club lettered cars that we had for sale and one sample engine. On September 13, 1989, the club was incorporated in the State of Wisconsin with non-profit status being granted on Jan. 8, 1992. The club serves to bring together railroad modelers and people with related interests by providing a regular meeting place and schedule of activities to enhance participation in the hobby. Business meetings are held on the first Wednesday and social meetings are on the third Wednesday of the month at 7:00 P.M., in the basement club room of the Bancroft Depot located in the Portage County Historical Society's Heritage Park complex on Washington Ave at the ex-GB&W tracks in Plover, Wisconsin. Membership requires an initiation fee and annual dues payable semi-annually on April 1st and October 1st. Members under 18 or students can be classified as Junior members, paying 1/2 dues. Also members that are unable to attend meetings and activities because of work schedules or distance can apply for a Passive membership. The club also has fundraising activities that include sales of club decals, decorated cars, hamburger sales, and a steak dinner. Members are actively encouraged to participate in these fundraising events. Persons interested in the club are invited to become associate members by attending club meetings and events for three months after which they may be elected as members. CWMR is a multifaceted group that includes all aspects of Railroading. Although the majority of the interest is in HO model railroading, all gauges are represented as are many other aspects of railroading.